I know there are those out there who are going to read this and say 'meh,' but I purchased a new monitor. It's about time. Not that the old HP 2311x stopped working. Nope, however the upstairs PC has a very nice Nvidia 760 Gforce video card with G-Sync and the monitor wasn't made to handle the graphics. Sure, there was no problem but it was kind of like using a flip phone for surfing the Internet - it can be done... sort of. 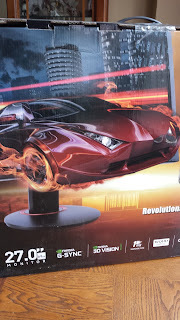 Now I have a monitor that is pretty amazing, and, even though I consider it expensive, it's still considered an entry level gaming monitor. Oh, yeah, top of the line models run into the thousands of dollars - I'm not that rich. And yes, it's big... a 27 incher which is measured diagonally, and no matter what they say, remember, bigger is better. It's an Acer XB270HU abprz Black 27" 144Hz 2560 x 1440 Widescreen LED Backlight LCD G-SYNC Gaming Monitor. Anyway, a funny thing was after I set it up I snapped a picture and posted it on Facebook. And I got comments about the glow in the dark stars on my desk. So, I'll repeat my comment: I not only have glow in the dark stars on my desk, I also have the nine planets which make up our solar system, as well as the Enterprise scooting past the rings of Saturn. 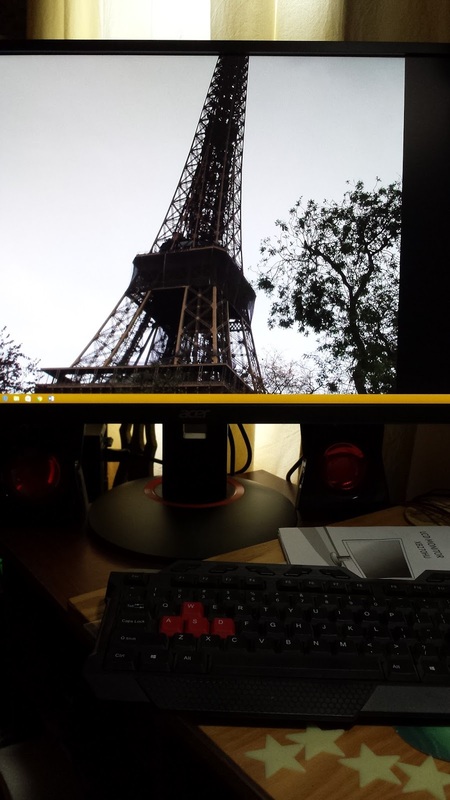 Oh, and pic of the Eiffel Tower I use as wallpaper? I took that. Neat, huh? 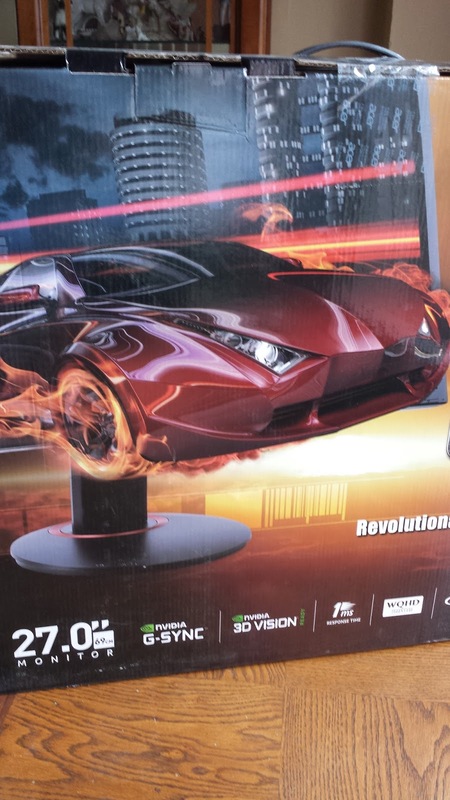 Wow, that monitor is unreal! I have been looking for a new monitor for some time, as I like to game in the study at my desk rather than on the iPad. This is the best tip for a monitor that I have come across - and it looks like we are on a similar budget as well, which helps. It is pretty freaking amazing.